Custom enterprise development is a lot like car buying. If you only need the basics, go with a product that gets cranked out in bulk, is meant to cater to the masses and gets you from point A to point B. 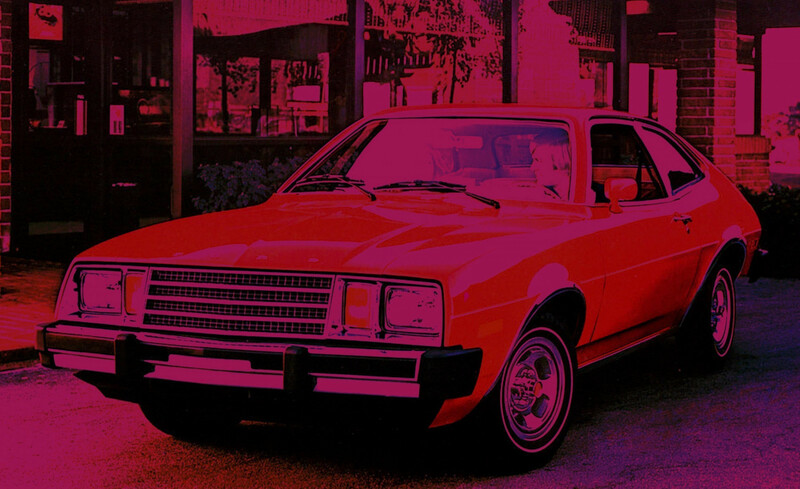 The Ford Pinto was great for a budget; it rolled and even had a tape deck. What more could you ask for? You could ask for plenty more, right? Your enterprise and back-office systems are the same. There are thousands of out-of-the-box solutions that will get you rolling on a tight budget. But if you want high performance, customization and a luxury experience, you have to go high-end. There is a reason Tesla had a long waiting list for its vehicles. Quality takes time and involves a level of craftsmanship that is not seen in the one-size-fits-all world. What is Enterprise Web Development? Typical web development provides a compelling experience to people outside of your organization. Enterprise software is about that, too, but it’s more about catering to the functional needs of your back office. A front-end e-commerce or marketing solution has to provide a gorgeous and convincing sales funnel to coax visitors into a desired conversion. These public-facing systems should include a lot of design consideration. A back-office solution, on the other hand, has to be streamlined for your in-house staff. It has to be extremely fast and take their unique needs into account. Back-office systems are more about function than form. That is not to say that UX and UI doesn’t matter in the back office, because it absolutely does. Why Is Enterprise Web Development Important? When your business has scaled and your process becomes more important than trying to beat a price, you need custom enterprise development. You became successful because you do your work a certain way and have specific values and processes that created a winning combination. Custom enterprise software allows you to replicate these processes and instill them into every new and future employee! Sure, it’s going to cost more. Only a fool would think you can get a Tesla for the price of a 1979 Ford Pinto. What’s more important here is to realize the efficiencies and value of going custom. If a bespoke system can give you more horsepower or increased scalability, isn’t that worth it? Our first step to any big system build is a thorough discovery. We have to know exactly what we’re building, what it must integrate with and who we’re building it for. The discovery allows us to narrow down your needs and specifications into a manageable “scope”—a hit list of features and functionality that is desired. From there, we will provide a price range/estimate for your project, typically within 15% above or below the final cost. When we engage, we will do so in a collaborative and agile manner so that we can address the most nuanced elements that no one could foresee at the outset. There will be small pivots in any large system build, so it’s only reasonable to account for this from the start! From our very beginning, OOHology has been a proponent of open source tools and technology. We utilize a LAMP stack (Linux, Apache, MySQL and PHP) for all of our system development, and Laravel for the framework. We have a “no hostages” mentality when it comes to our clients and their systems. You will not be locked into any expensive licensing, support or intellectual property agreements with us. Your work is solely a work for hire and you will own it all. Our goal is always to build tools that you and your staff can easily drive and requires no further intervention or assistance from us. But this doesn’t mean we’re building silos. We can integrate with any open or proprietary system so long as a well-documented API (application programming interface) is available. It helps if you have a staff person or a technical representative who has a good understanding of the system we’re talking to, and can provide a point of contact for integration needs. If an API is not available and cannot be created in any software that you’re contemplating, run! Your system will be custom tailored to your needs, which is why you’ll find it incredibly easy to use and learn. It will have everything you need, and no unnecessary frills that don’t make sense for you. With a tailor-made solution, there won't be any chance of breaking your system, or getting confused by poorly labeled sections of your management system. Turn the keys over to us.